Ok, this site and the interactive graphic are brilliant. 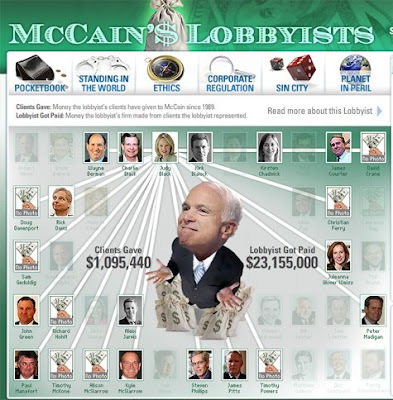 Learn about all the McCain lobbyists, see what they were paid and how much green they gave to the McSame Campaign. This one needs to be enjoyed far and wide.